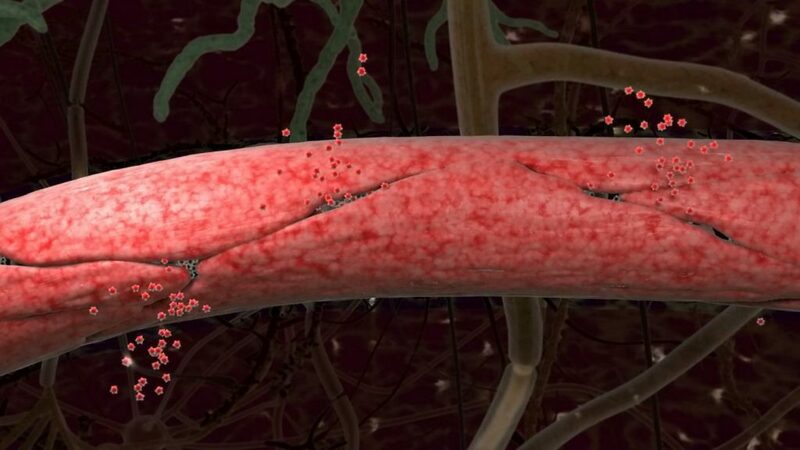 Dr James Pickett, head of research at Alzheimer’s Society, said: “Our researchers have been working for years to investigate how blood vessel health links to dementia, and to understand how leaks in the blood brain barrier could increase the risk of dementia. The five year study of 161 older people published today in Nature Medicine found that those with the worst memory problems also had the most leakage, regardless of whether abnormal amyloid and tau were present. Berislav Zlokovic, another director at the school’s Zilkha Neurogenetic Institute said this could open the door to much earlier diagnosis using brain scans. Then drugs could be used to plug the leaks, before symptoms begin. “Earlier diagnosis would allow us to test drugs on people while there’s still a chance to reverse it,” notes Pickett.